Button-tufting on brown velvet-covered headboard and footboard. Buttons and welt in dove-white for contrast; legs have a creamy white finish. 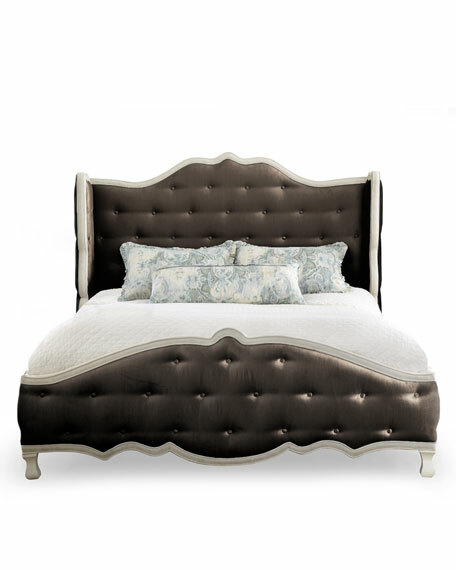 Headboard and footboard curve slightly at ends to embrace mattress. 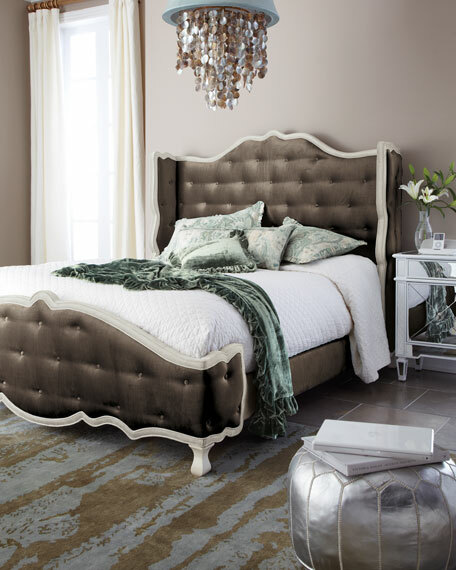 Headboards are all 61.75"T; footboards, 26"T.
88"W x 87"L; inner dimensions, 82.5"W x 82"L.
84"W x 90"L; inner dimensions, 78.5"W x 88"L.